You will have great difficulty practicing Zen if you regret leaving behind worldly study and pride or if you are attached to some special talent. So, you should return to being a blank page. If you can pay the price of a very restrictive practice, you will get great freedom. In the old days there used to be people who would suddenly forget about life and death with just one word from a Zen teacher. Also, there were many people who got enlightenment after three or seven days of practice. However, people these days have very little patience and practice Zen as a sideline. Because of this, people who have practiced for even twenty or thirty years still have not attained Buddhism’s great meaning. When you eat rice yourself, you feel full. If you don’t practice Zen yourself, even the Buddha and eminent teachers cannot help you. If you want to practice Zen, first win the battle of the six senses. 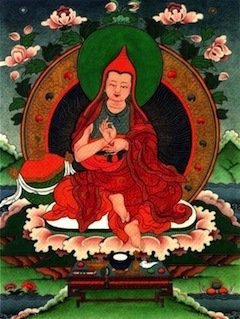 Wonderful, indeed, it is to subdue the mind, so difficult to subdue, ever swift, and seizing whatever it desires. A tamed mind brings happiness. Let the discerning person guard the mind, so difficult to detect and extremely subtle, seizing whatever it desires. A guarded mind brings happiness. If you meditate earnestly, pure in mind and kind in deeds, leading a disciplined life in harmony with the dharma, you will grow in glory. If you meditate earnestly, through spiritual disciplines you can make an island that no flood can overcome. Just as a storm throws down a weak tree, so does temptation overpower those who live for pleasure, are uncontrolled in their senses, immoderate in eating, indolent, and dissipated. Just as a storm cannot prevail against a rocky mountain, so temptation can never overpower those who contemplate impurity, are controlled in their senses, moderate in eating, and filled with certainty and earnest effort. Then he becomes well equipped with the five powers. “I didn’t want to think it.” “I didn’t mean to say it.” “I didn’t intend to do it.” How many times have we said these or similar words to ourselves or others? When we entertain unwelcome thoughts, utter words that should remain unspoken, or do what should be left undone, we have allowed our wrong views and afflicted emotions to drag us into committing unskillful acts. The Bodhisattvas, on the way to enlightenment, refuse to succumb to the winds of karma. Bodhisattvas are guided by Vows: the intentional adoption of guidelines that align us with the Dharma and advance our spiritual cultivation. “Discipline” is a difficult word for most of us. It conjures up images of somebody standing over you with a stick, telling you that you’re wrong. But self-discipline is different. It’s the skill of seeing through the hollow shouting of your own impulses and piercing their secret. They have no power over you. It’s all a show, a deception. Your urges scream and bluster at you; they cajole; they coax; they threaten; but they really carry no stick at all. You give in out of habit. You give in because you never really bother to look beyond the threat. It is all empty back there. There is only one way to learn this lesson, though. The words on this page won’t do it. But look within and watch the stuff coming up- restlessness, anxiety, impatience, pain- just watch it come up and don’t get involved.